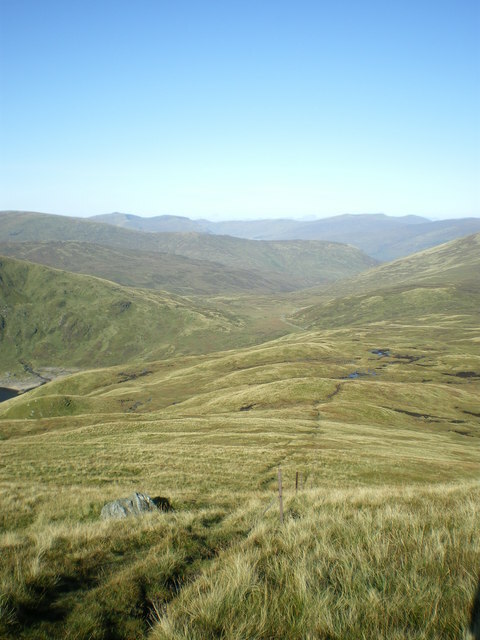 This ruined fence (which the walkers' path now follows) marks the boundary of the NTS property incorporating much of the Ben Lawers range. The whole area is notable for its mountain vegetation and alpine flowers. © Copyright Richard Law and licensed for reuse under this Creative Commons Licence.